Broadway has had a pretty good run of truly innovative and inspiring big-budget hits in the past few years. But The Book Of Mormon’s tap-dancing missionaries and Hamilton’s hip-hop revolutionaries may soon have to relinquish the spotlight to make room for hula-hooping cheeseburgers and breakdancing boat drinks. 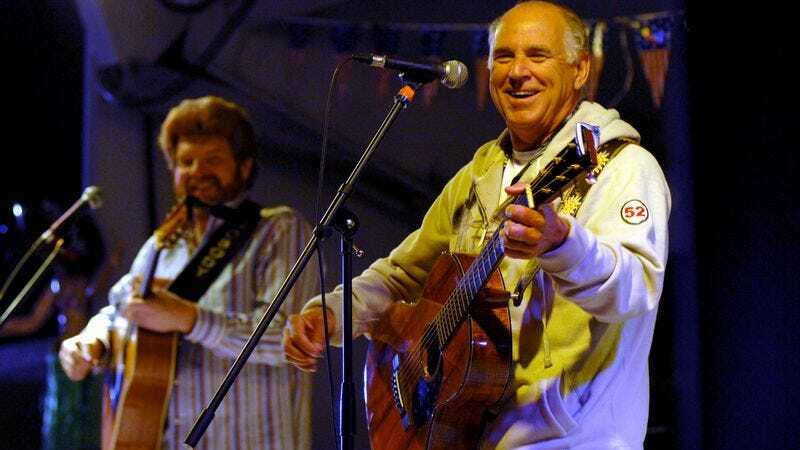 Yes, a Broadway musical based upon the songs of Jimmy Buffett is in the works. Buffett, the 68-year-old spiritual leader of Parrotheads worldwide, is currently working with a team of entertainment veterans—including Jurassic World producer Frank Marshall, My Name Is Earl creator Greg Garcia, and Tony-nominated director Christopher Ashley—to mine the deep pathos and subtle poignancy of songs like “Cheeseburger in Paradise” and “Why Don’t We Get Drunk” for compelling theatrical drama. While the multi-millionaire singer-songwriter Buffett and Hollywood mogul Marshall have previously worked together in theatrical production—as Parrothead Productions, the two have helped usher live version of both Doctor Zhivago and Big Fish to the stage in recent years—Ashley and Garcia are new members of the creative team. “Buffett’s music means so much to so many people,” Garcia said. “It’s a lifestyle. A way of looking at the world. We hope to tap into what Jimmy has created and help bring that fun to the stage.” And if he can help bring his army of obsessive retirees with disposable incomes in to fill the seats, that wouldn’t be too bad either.